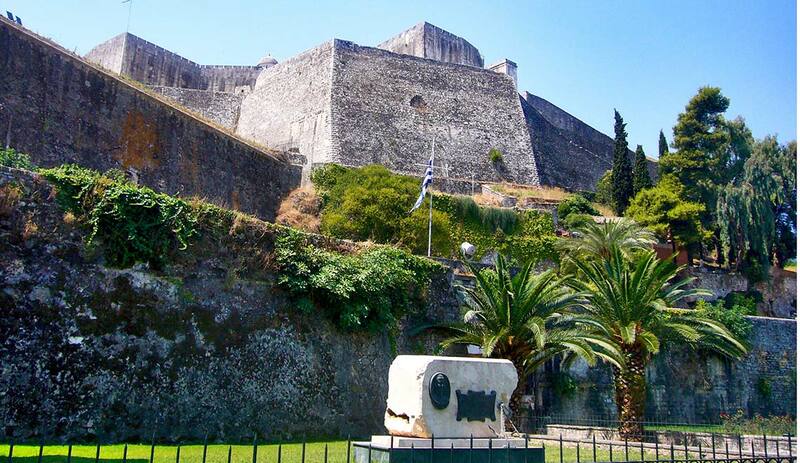 Aggelokastro is one of the most important Byzantine castles in the history of Greece and of the oldest since its position was fortified since the 7th century maximum. 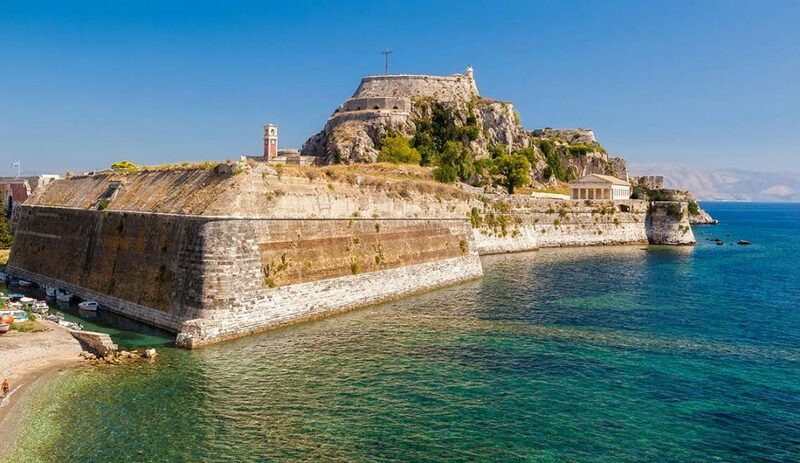 This castle is located at the top of the highest peak of the island’s shoreline on the northwest coast near Palaiokastritsa. 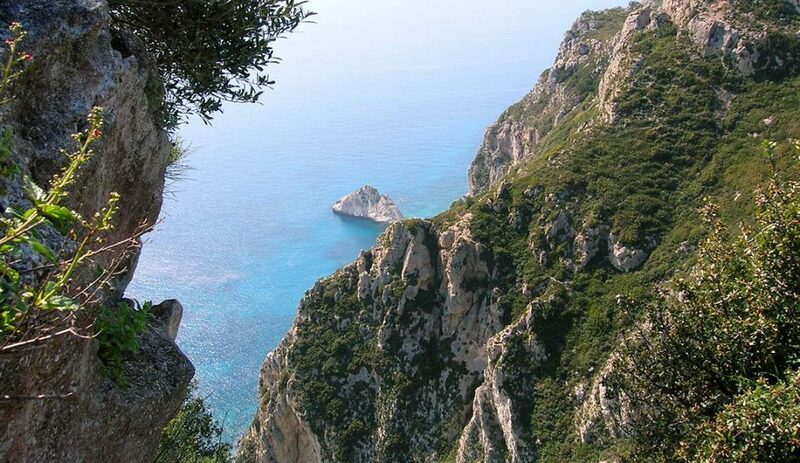 When the weather is clear you can see the whole island from the top. The palace of Achilleion in Corfu is located on a hill in Gastouri area, was built by the Empress of Austria Elisabeth (Sisi) of Bavaria and it is of ancient Phaecian architecture abounding in statues and paintings of Achilles representing heroic scenes of the Troyan war. 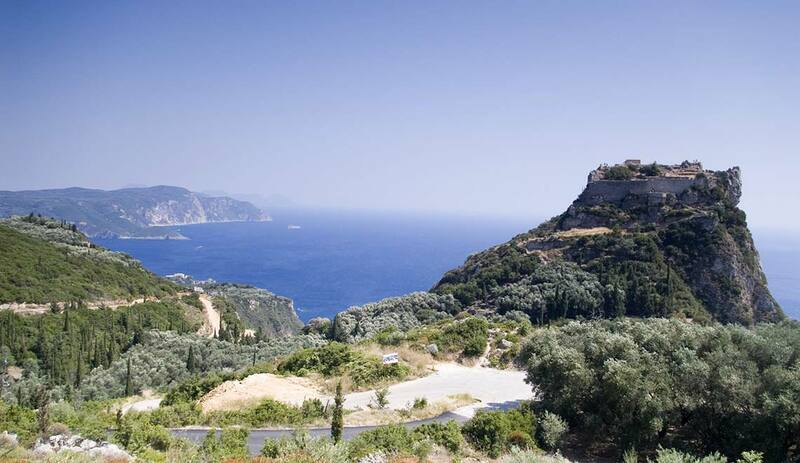 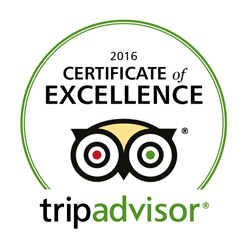 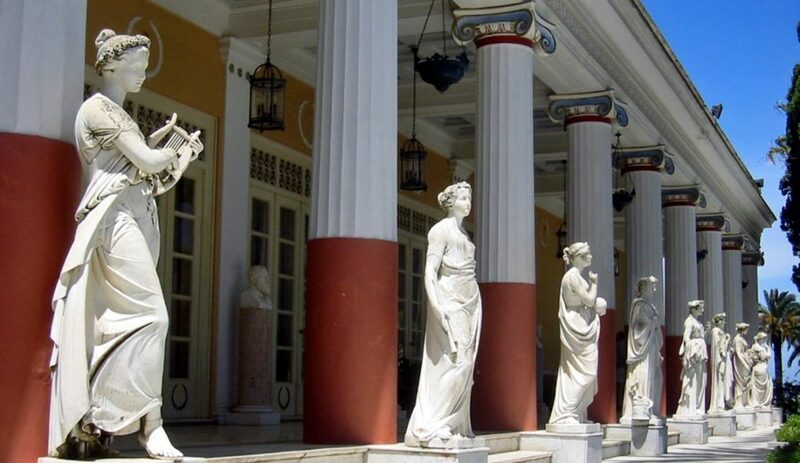 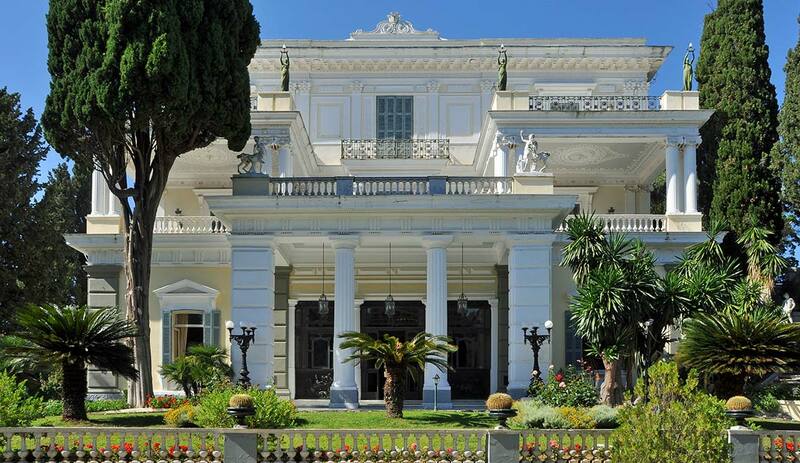 The Achilleion palace covers an area of around 200.000 m2 and offers a panoramic view to the north Corfu city. 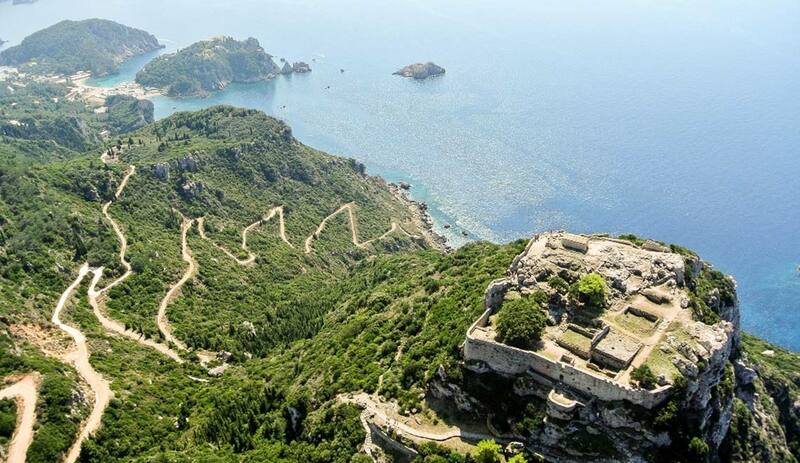 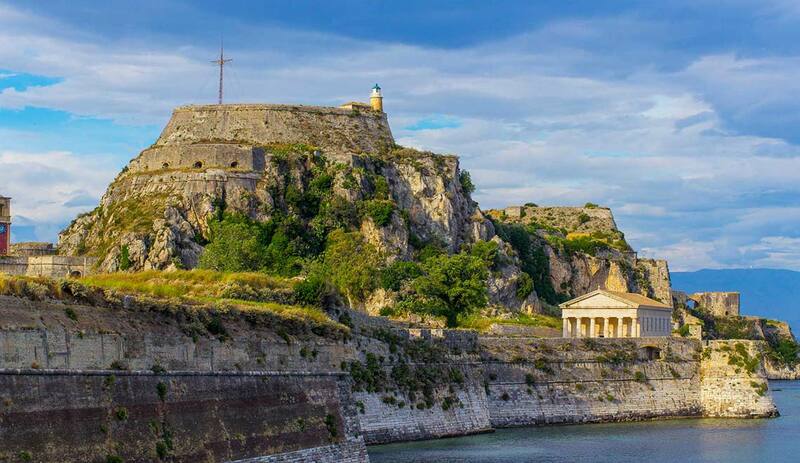 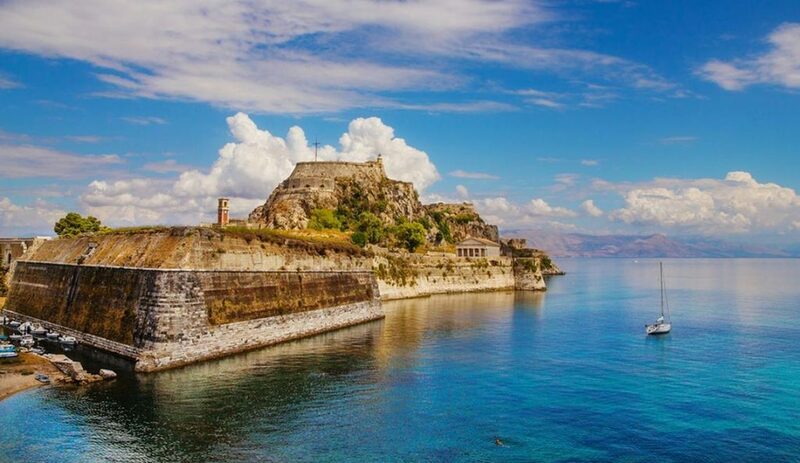 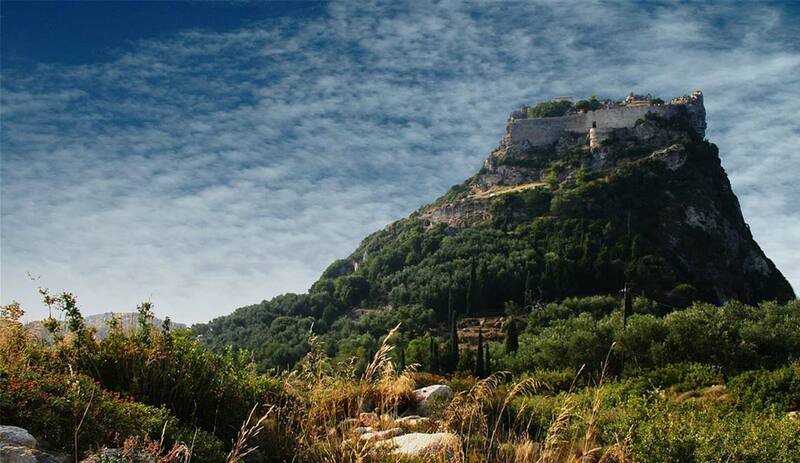 The Old Fortress of Corfu was built on a rocky peninsula in Corfu town in order to protect the island from sea invasions after the previous fortress (which was initially built in Kanoni at the old town of Corfu) was destroyed by invaders. 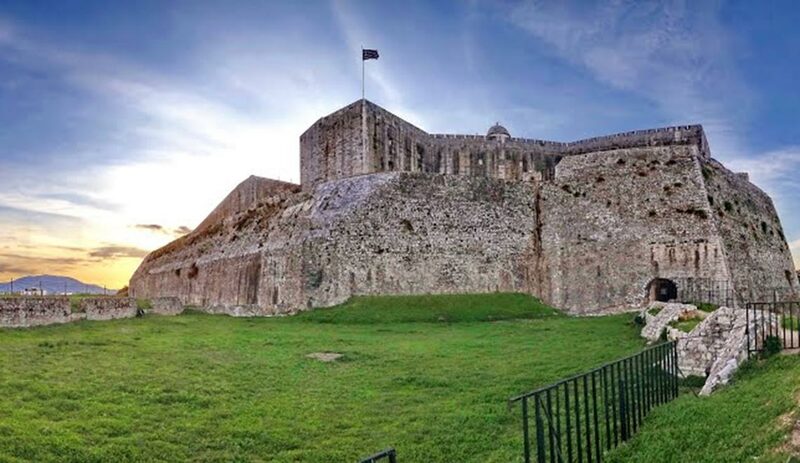 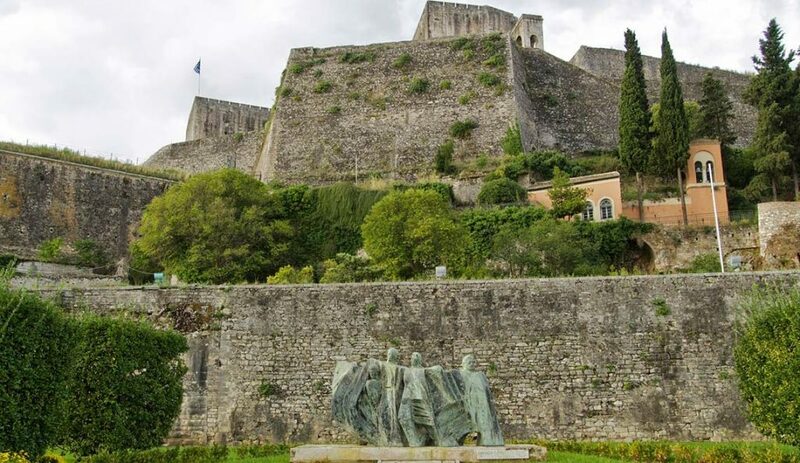 The fortress was built by the Venetians and later by the English and Greek during the 14th and 18th century and used to host military, political and aristocratic people. 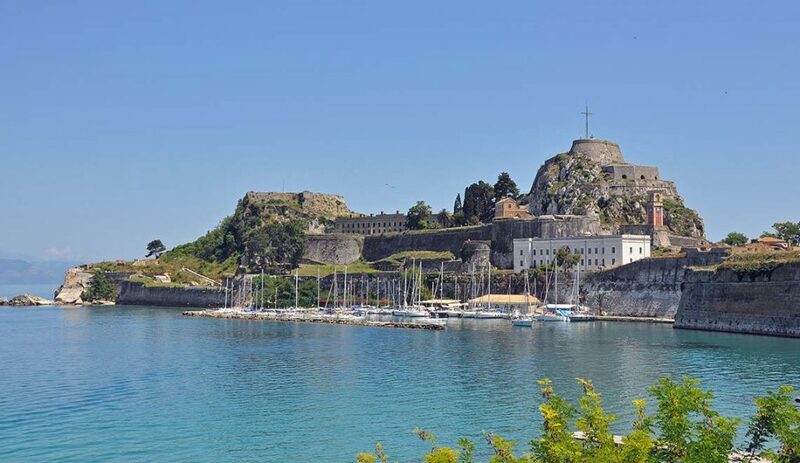 The old fortress connects with the old town of Corfu by a metal bridge. Inside the fortress you will come across the public library, the church of St. George, ‘romantic’ temple, the prisons, the English barracks, and the mainland and sea towers.